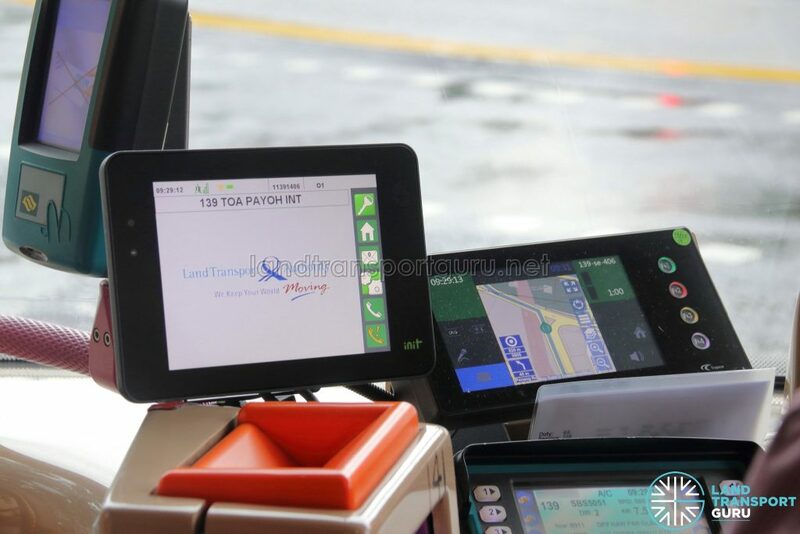 On 28 January 2019, the Land Transport Authority (LTA) launched a six-month Assistive Technology trial, with the aim of helping bus commuters with special needs. 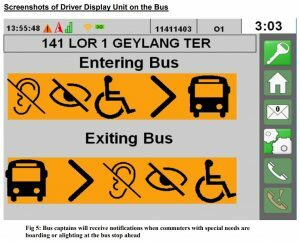 As part of the Assistive Technology trial, several buses plying Bus Service 139 between Toa Payoh and Bukit Merah were fitted with a new Driver Display Unit by INIT, next to the Trapeze Common Fleet Management System Driver Display Unit. This was first observed in mid-November 2018. 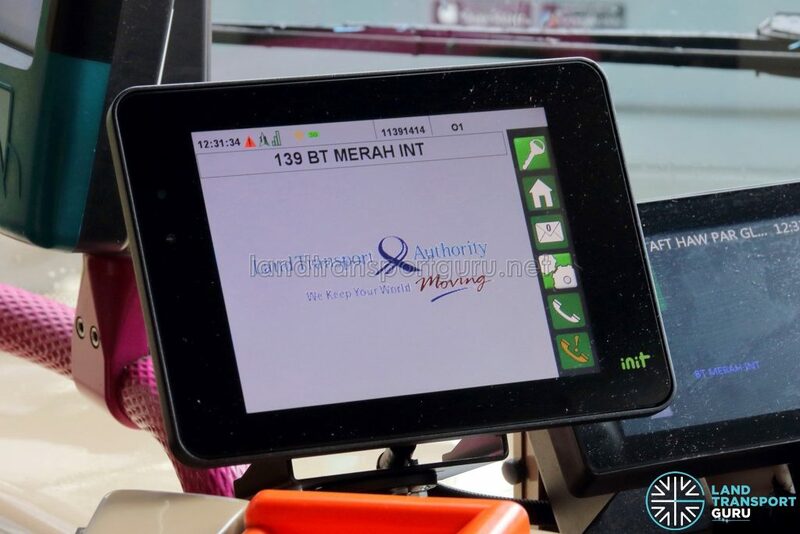 The INIT unit is at the heart of the Land Transport Authority (LTA)’s new Assistive Passenger Information System (APIS), which introduces several new features to improve the commuting experience for commuters with disabilities. These driver display units indicate to Bus Captains if a Passenger with Disabilities (PWD) intends to board the bus further down the route. 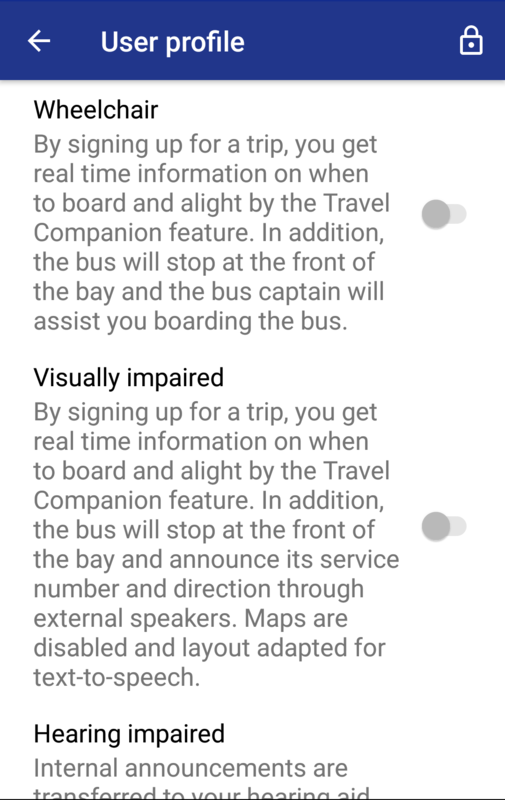 It provides the specific boarding stop, alighting stop, and nature of the person’s disabilities, enabling the Bus Captain to render assistance if required. 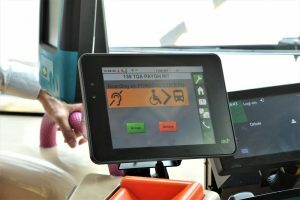 In December 2017, during the opening of the sheltered walkway from Redhill MRT Station to the Enabling Village, the Land Transport Authority (LTA) mentioned that it was exploring the use of technology (such as navigation apps and other mobility aids) to help commuters with disabilities. One of these initiatives was tying up with German firm INIT to provide audio announcements on public buses for the benefit of passengers with special needs. The trial was also previously brought up during the Ministry of Transport’s (MOT) Committee of Supply (COS) Debate 2018, in which LTA indicated its collaboration with industry partners to develop and pilot assistive technologies for commuters with special needs. 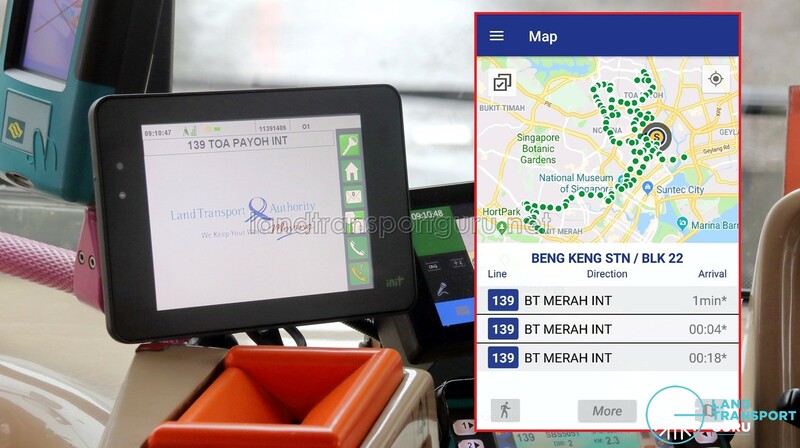 More details of the Assistive Passenger Information System (APIS) for buses were revealed, such as the inclusion of a mobile application that allows special-needs users to notify bus captains of their intention to board. 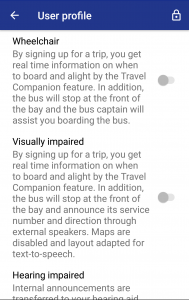 For visually impaired passengers, there will be internal and external speakers to announce the service number, destination, and the next bus stop. It also directly transmits audio announcements via hearing aids to hearing-impaired passengers. The trial was then slated to start in 2018 on Bus Service 139, which serves the Enabling Village. The first beta version for the mobile application was uploaded on the Google Play Store on 15 November 2018. Titled MAVIS, short for Mobility Assistance for the Visually Impaired and Special users, the app is developed in partnership with LTA and INIT Asia-Pacific Pte Ltd (Parent Company: INIT GmbH) and is based on the existing DEPARTURESlive app offered by INIT to public transport operators Verkehrsbetriebe Karlsruhe (VBK) and Albtal Verkehrsgesellschaft (AVG) in Germany. In late November 2018, the beta app was subsequently removed from the Google Play Store, until its official launch in late January 2019. The app lists only a limited number of bus stops on the map, in particular, only bus stops served by Bus Services 139, 139M & 141. 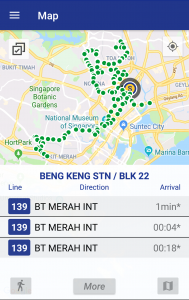 While the beta app had stops served by Service 238 initially, these stops were removed in late November 2018. 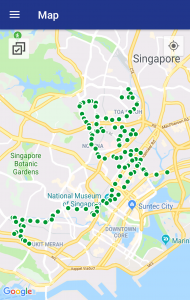 The six month trial of the MAVIS mobile application started on 28 January 2019, although it was officially announced by the LTA only two days later (30th January). 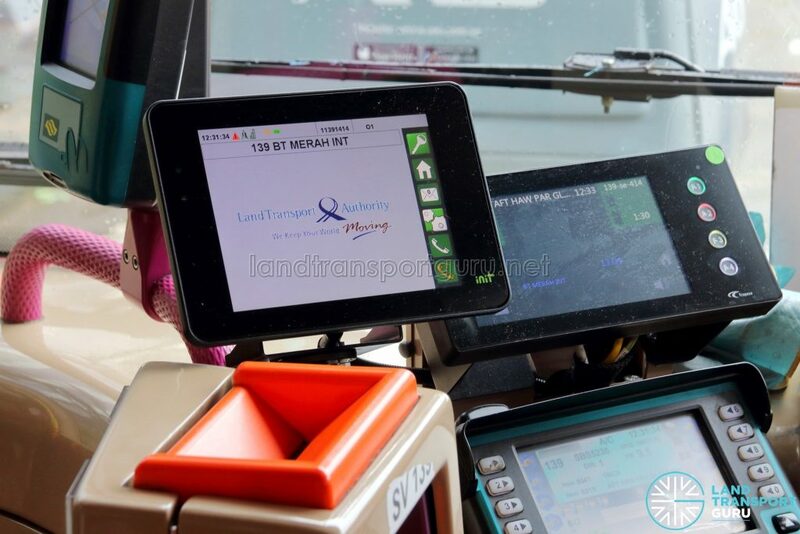 The trial is co-funded by the Land Transport Innovation Fund and INIT Asia-Pacific Pte Ltd. Allow visually impaired passengers to activate audio announcements at the boarding bus stop. 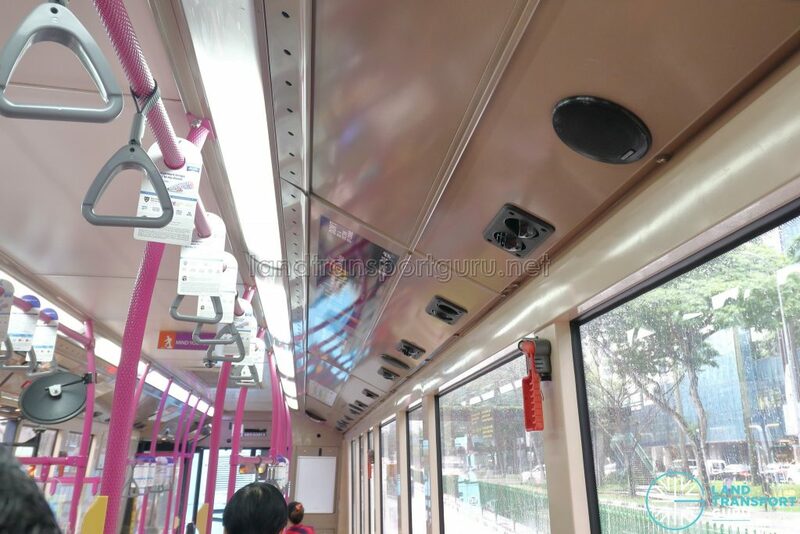 During the six-month trial period, LTA may adjust parameters, such as the volume of the audio announcements, to better test the system. At the end of the trial, LTA will consider users’ feedback gathered during the trial to assess the benefits and feasibility of providing such assistive technologies on more public bus services. Since the mobile application was developed by INIT, the user interface is adapted from a similar app used in Germany. 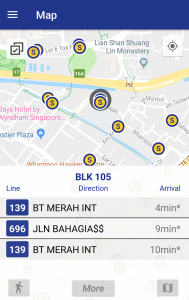 The app uses “Line” instead of service number, and bus stops do not have their bus stop codes or road names reflected on them. The Travel Companion feature within the mobile app provides real-time information on when to board and alight. The feature is disabled by default and can only be activated through a password provided by SG Enable. 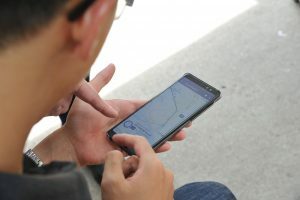 Commuters with special needs may participate in the trial through registration with SG Enable via email at mavis@sgenable.sg, following which they will be able to activate the user profiles within the app. 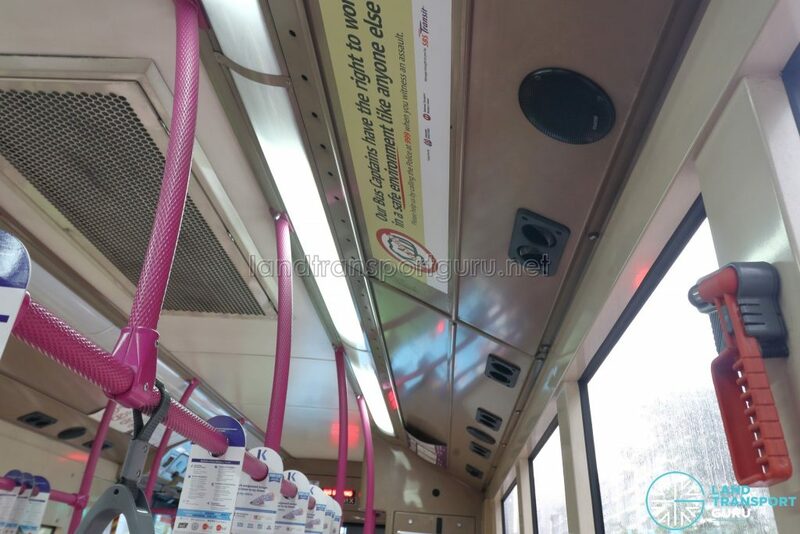 SBS5051X and SBS5236E had their APIS installed earlier in November 2018. 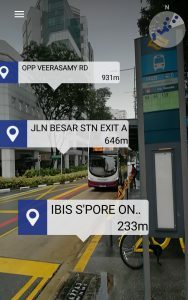 Buses installed with APIS can be located through the MAVIS App. I would like to know, people like me, who is a disabled handicapped, with partial visually impaired, with not strong legs; where am i belong to? To none of the categories? I do have the disability consession card given by the government. You can also check with Handicaps Welfare Association or Visually Handicapped Association, or even SNEC. May you let me know soon.